Known by the Aztecs as huāuhtli, it is believed that the amaranth represented up to 80% of their energy consumption before the Spanish conquest. Another important use of amaranth throughout Mesoamerica was to prepare drinks and ritual foods. To this day, amaranth seeds are still toasted like popcorn and mixed with honey, molasses or chocolate to make a sweet called alegria, meaning “Joy” in Spanish. 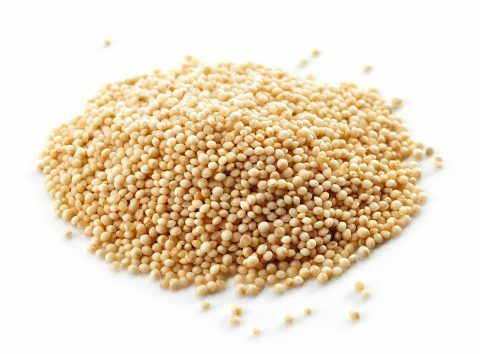 One cup (2.4 dl, 245 g) of cooked amaranth grain (about 65 g of raw material) provides 251 calories and is an excellent source (20% or more of Daily Value) of protein, dietary fibre and some dietary minerals.